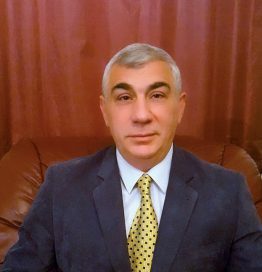 Georgi is a professor at the College of Tourism in Belgrade (Serbia), teaching subjects: Business Hospitality Management, Tourism Destination Management, Selective Forms of Tourism, as well as Business of Global Hotel Corporations and Hotel Operations Management. Professor Genov is also the director of the Business Association of Hotel and Catering Economy HORES (since 2013). He graduated at the Faculty of Economics in Belgrade and at the same faculty he defended his Master degree in 2001. In 2010 he defended his doctoral dissertation at the Faculty of Economics in Banja Luka (Bosnia and Herzegovina). Georgi started his career in 1982, taking different positions within tourism and catering industry and in several companies: he was the General Secretary of the Ferial Association of Serbia (Association of Hostels), General Manager of Tourism company “Junior”, Assistant of General Director for Economic Affairs and Marketing at the Institute for Public Health of Serbia ”Milan Jovanovic Batut”, as well as an Assistant Director of Studio B TV Station. He held managing positions of multiple non-governmental organizations in Serbia: President of the Ferial Association of Serbia and the Youth Council of Serbia, member of the Presidency of the Tourist Association of Serbia, Association of Catering Companies of Serbia ”UGOPROGRES”, Belgrade Tourist Association, Yugoslav Association of Travel Agencies – YUTA and the Business Association of Hotel Catering Economy – HORES. He was also appointed as a member of the National Tourism Council of the Republic of Serbia in 2014. He has published five books in the field of tourism and hotel industry, several tourist guides and handbooks in the field of tourism, as well as a number of articles in professional journals. He participated in the organization of congresses, tourism fairs and tourist events in Serbia and abroad. He is the author of several projects and feasibility studies in Serbia.